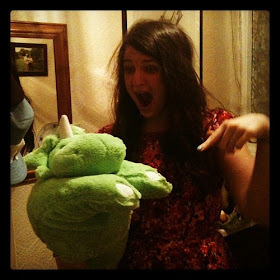 t*rexes and tiaras: Nami Poddolly Review.. Although feeling under the weather meant that I didn't get as much done over the festive break as I'd have liked to, one thing I did manage to finish was this; my Poddolly rag doll kit. 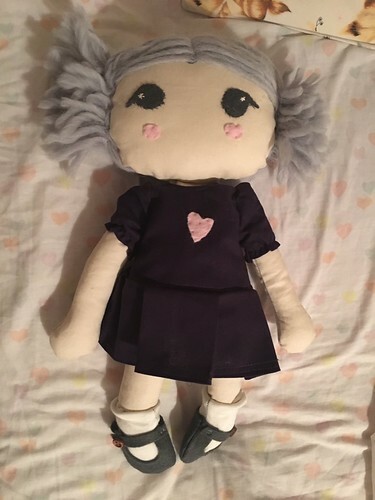 I've never really made a doll before. Certainly not one from a pattern or a kit. (I used to make little felt plushie animals when I was younger, as gifts, but I kind of made them up as I went along). The Nami kit has so clearly been thought out. 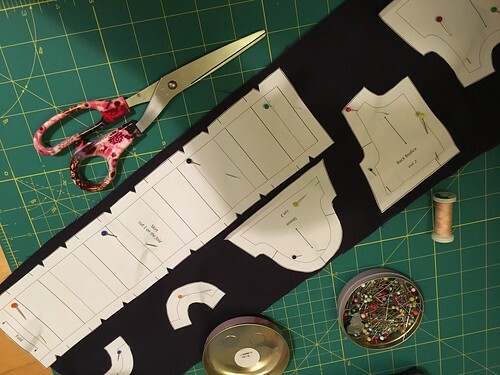 Step-by-step instructions, explaining which pattern pieces to cut out of which fabrics, how to attach the pieces together and whether it's best to hand-sew or machine-stitch at each step. 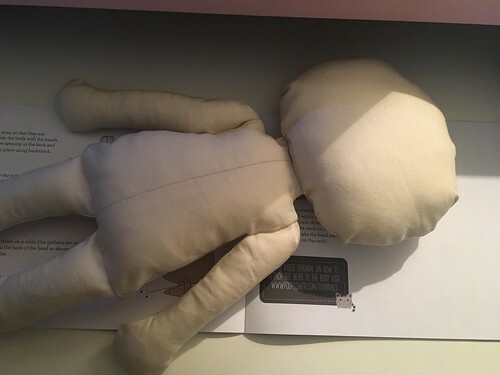 The doll kit can be made up entirely by hand if you don't have a machine, although some things are easier with a sewing machine (such as attaching the hair). Once I'd cut out my pattern pieces and then my fabric pieces, I was able to begin putting the doll together. First, the head and the body, which needed to have the limbs attached and then be stuffed full. I think I probably could have gotten away with a little more stuffing in the body and neck, but I do like the shape of her. I think it would have made the neck / head a little more sturdy, perhaps. After the body of the doll, I added the hair and the face, and then it was time to make the clothes. The dress is a fairly simple bodice with a pleated skirt, although the sleeves are elasticated, as well as gathered, which was a little bit fiddly. It gives a lovely effect, though. 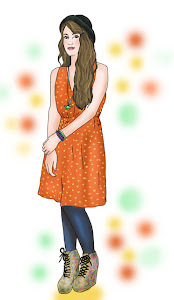 Next up, socks and shoes, which were very simple but look ever so lovely. All of the buttons actually hide tiny poppers underneath, so they're just there for effect, but I think it creates a lovely one. What do you think of my finished Nami doll? I hope I did the kit justice. 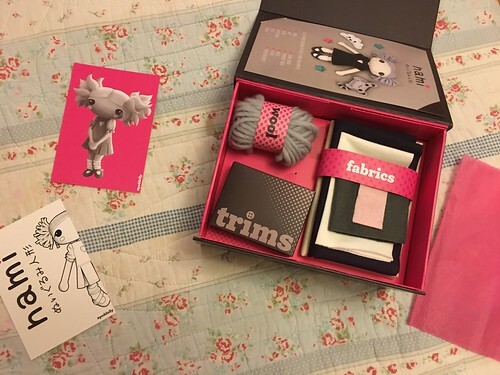 I really liked that you receive absolutely everything in the box - the perfect gift for someone who is at pretty much any level of sewing ability. It's really clear that a lot of time has been taken in making this kit a beautiful thing to behold, at every stage of the doll-making process. I know that my sister has her eye on this, but I'm hoping to keep ahold of her. I think she needs a name! She's absolutely gorgeous! I love her face. Definitely needs a name. Adorable! What a great kit!